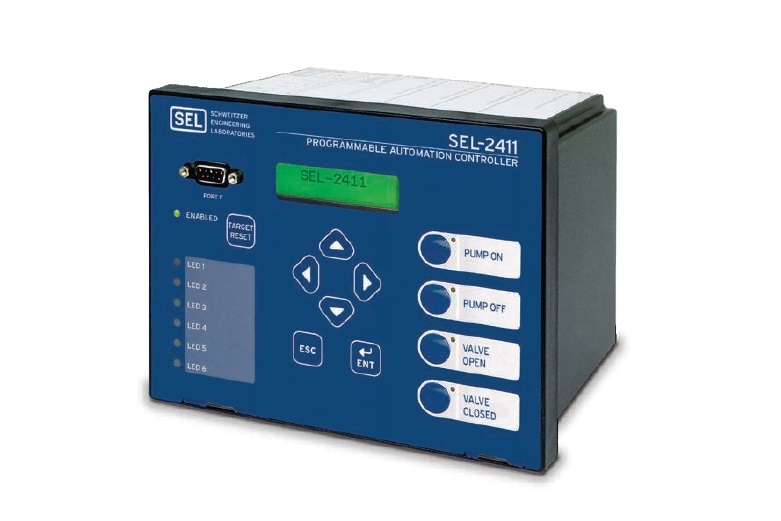 Whether your application calls for a remote terminal unit (RTU) or an ultrarugged programmable logic controller (PLC), the SEL-2240 will be a good match. All of the SEL Axion modules are rated from –40° to +85°C and can optionally include conformal coating. The system is designed to be flexible; use the right combination of modules and nodes in almost any arrangement to suit the job. The SEL-2244-3 Digital Output Module has substation duty contacts (30 A make, 6 A carry) in order to provide reliable operation and flexible application. Enable substation reporting and control with I/O, SCADA communications, and programmable logic for many industrial and utility applications. 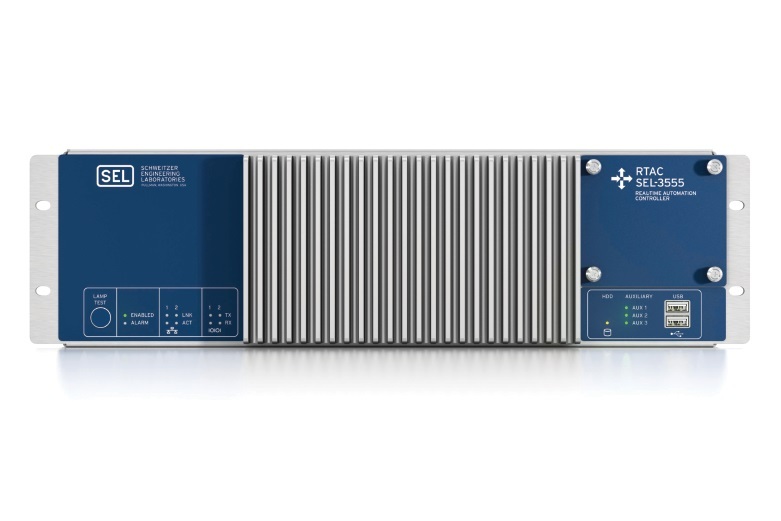 Employ synchronized CT/PT measurements from multiple Axion chassis distributed across a substation and from multiple Axion systems for advanced time-deterministic control applications, including load shedding and microgrid control. Enable encryption for any engineering access channel or SCADA link. Implement system security auditing, logging, and password restrictions to enforce government standards. 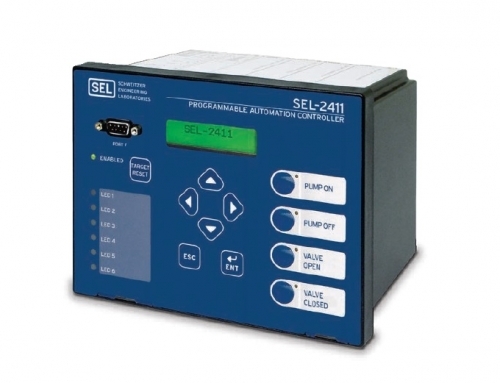 Use the SEL-2245-4 AC Metering Module to collect IEEE C37.118.1a-2014 compliant synchrophasors. Include time stamps and time quality in the SCADA message to allow system-wide usage of synchrophasor data. Provide accurate P and M class measurements and distribute submicrosecond time without an IRIG-B connection. 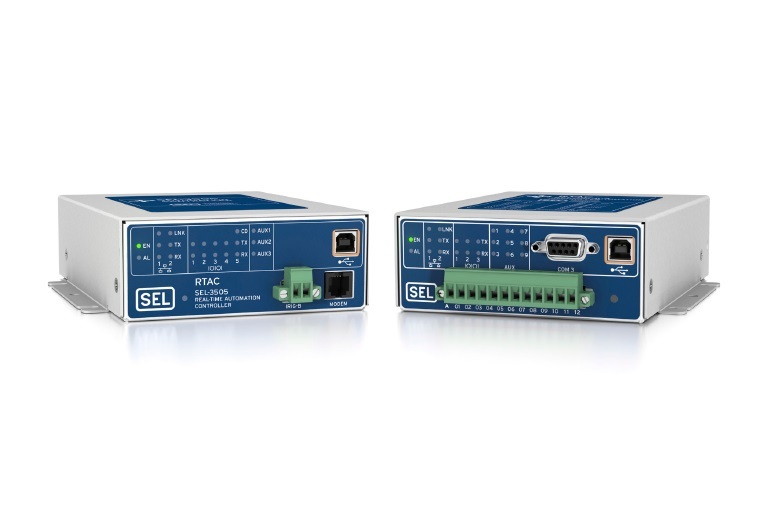 Gather a variety of substation I/O with the SEL-2244 Digital I/O Modules, and share the data with IEC 61850 GOOSE messages. Apply the protocol flexibility of the RTAC to concentrate data from non-IEC 61850 relays, and convert these data to GOOSE messages. 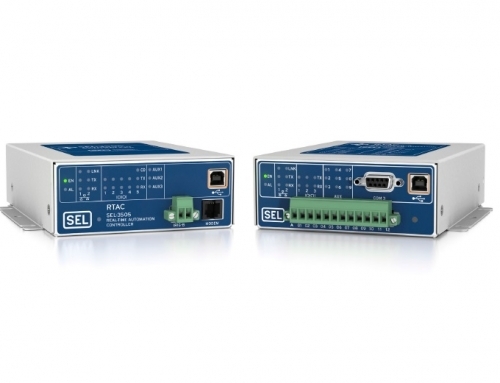 The SEL-2243 Power Couplers provide not only hot-pluggable power supplies, but also fast, time-synchronized EtherCAT connections to remote Axion nodes. The power couplers create EtherCAT links in a star network topology, sequential network topology, or combination of both. Apply single or dual power couplers in each Axion node based on connection or redun-dancy requirements. Add battery monitoring to RTUs to report voltage levels to SCADA and issue alarms. 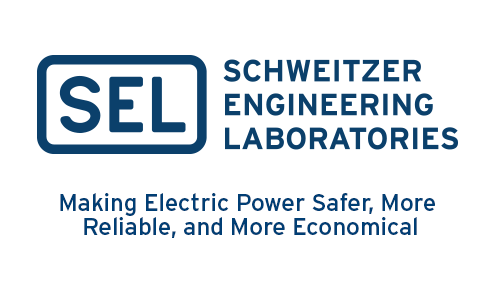 Create an ultra-rugged PLC system by combining the standard IEC 61131 logic engine, integrated database, and flexible I/O. Use ladder logic, structured text, or function chart program-ming for custom control strategies. Implement PID and other advanced function blocks for process control systems with the new analog output module. Take advantage of multiprotocol support to collect SCADA information and process control commands, and obtain SNTP/NTP time synchronization through a single communications link to each Ethernet device. 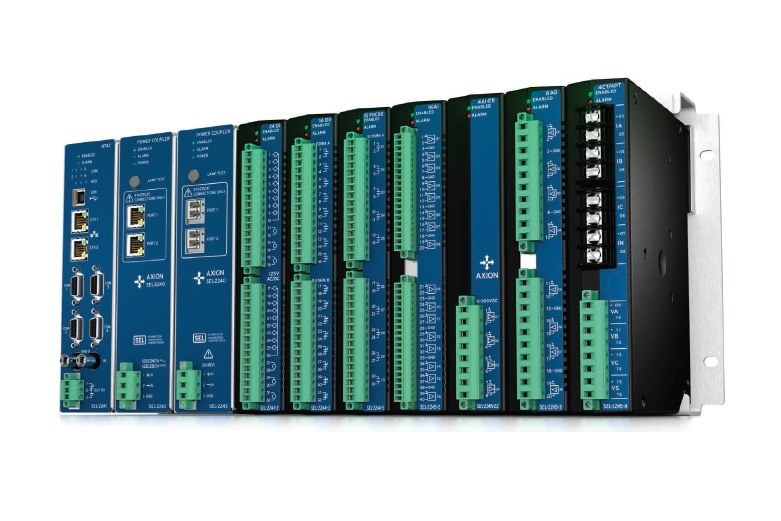 Increase the number of I/O points with as many as 60 modules or six nodes connected to one resident SEL-2241 RTAC. Through EtherCAT connectivity, provide rapid, time-synchronized data acquisition rates to the expanded I/O points within your automation system. 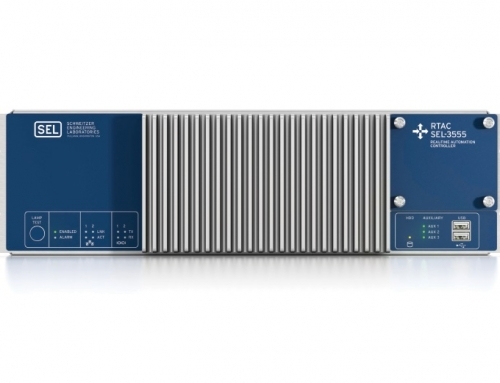 Integrate the Axion with your protective relays and other IEDs as the substation SCADA data concentrator. Configure the RTAC module to collect and view station-wide Sequential Events Recorder (SER) and event reports. Collect downstream data with client protocols. Then, send these data to an upstream HMI, RTU, or SCADA master with server protocols, converting the data from one protocol to another in the process.